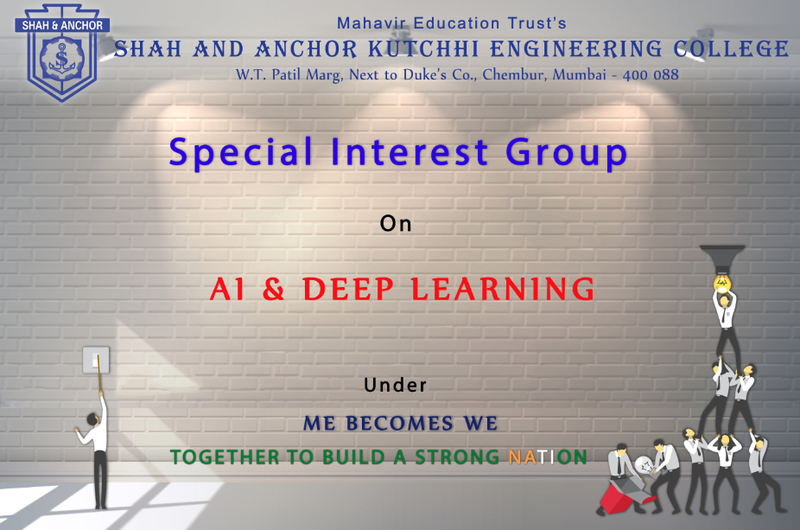 Event Shah and Anchor Kutchhi Engineering College takes immense pleasure to announce ” Special Interest Group on AI & Deep Learning “ under the umbrella of ME becomes WE: Together to build a Strong Nation. Event Description Astonishing result of the online quiz and Positive Feedback of ” Diving into Deep Learning “ workshop conducted on 1st and 2nd September of 2018 has inspired us to take this journey ahead.The main objective is to develop Industry ready projects in the said fields. Registration is open for SAKEC students and staff members.